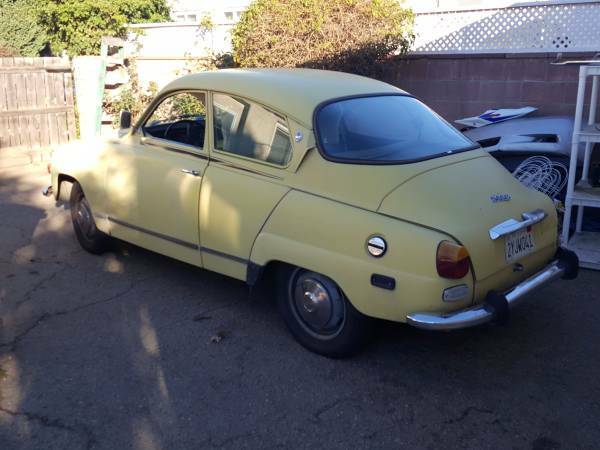 The Saab 96 was a porpoise shaped classic from Scandinavia that was the final evolution of aerospace inspired Ur-SAAB -- and used a compact 2-stroke or V4 engine connected to the front wheels with a strange freewheeling clutch setup. With a double wishbone and coil spring front suspension and trailing u-beam rear axle, the 96 made for a surprisingly adept rally car and the likes of Erik Carlsson, Stig Blomqvist and Per Eklund had success in it. 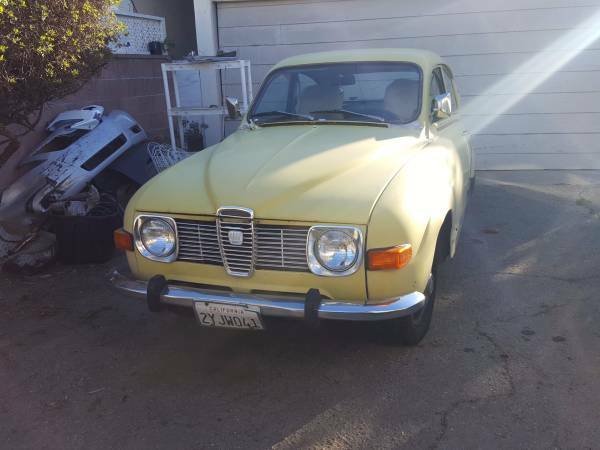 Find this 1973 Saab 96 V4 offered for $4,200 in Ventura, CA via craigslist. 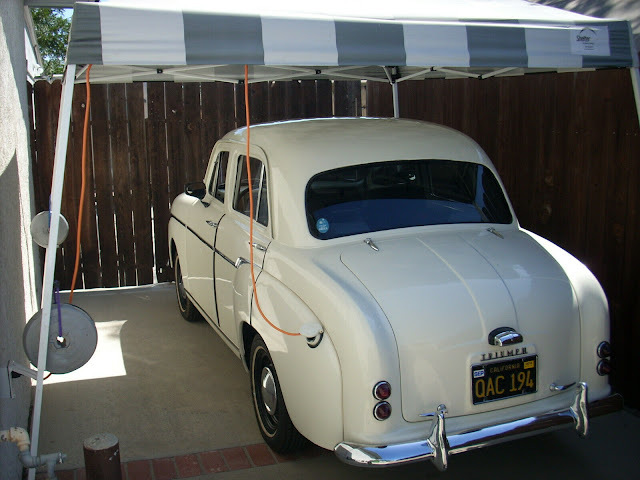 The seller says he got the car from the original owner who had it in his indoor storage for over 30 years and that he (the seller) began to fix it up...but he is more of a Chevy guy and just doesn't have knowledge with SAABs. He did get it running, but "there is something going on with the clutch. 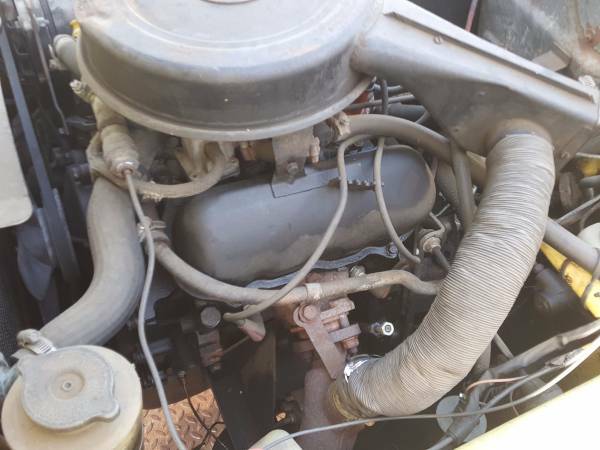 I've replaced the slave cylinder, but it still doesn't work correctly." Could it be the freewheel mechanism needs some adjustment or the seller doesn't know it has this feature? When Saab first introduced the 96 it had a 3 cylinder 2-stroke engine that used premixed oil/gas fed to the carburetor, which means that when coasting down long hills the oil supply can be inadequate for cylinder lubrication. Therfore the 96 uses a freewheel overrunning clutch that disengages the connection between engine/transmission while coasting, and strangely this setup was maintained when Saab switched to the 55 horsepower Ford V4 1.5 liter 4-stroke engine. If this were a 95 I'd be changing my underwear now. Ventucky as we like to call it around these parts. You live in Santa Molesta or something? ok, but what's that front clip on the trash pile? - Toyota something? - FTB, where are yooooo? Looks like circa 2008-ish Camry to me. I agree with CFlo. That Jimmy Durante schnozz seals it for me. Having owned several of these wonderful over the years and if any part is apt to break, and they do, would be the transmission. INOP clutch is problematic at $4200. There are many rust free runners in the PNW for this money that one can actually drive home. mrkwong and I have eerily similar taste in the oddball reprobate car sector. These cars are like puppies. They pee on your floor and chew the furniture, but you love them anyway! I have mused upon the concept of a Saab 95 with an Audi AWD drivetrain behind a Cologne V6. Then I open the door into the garage and reality buggers me with a corn cob.